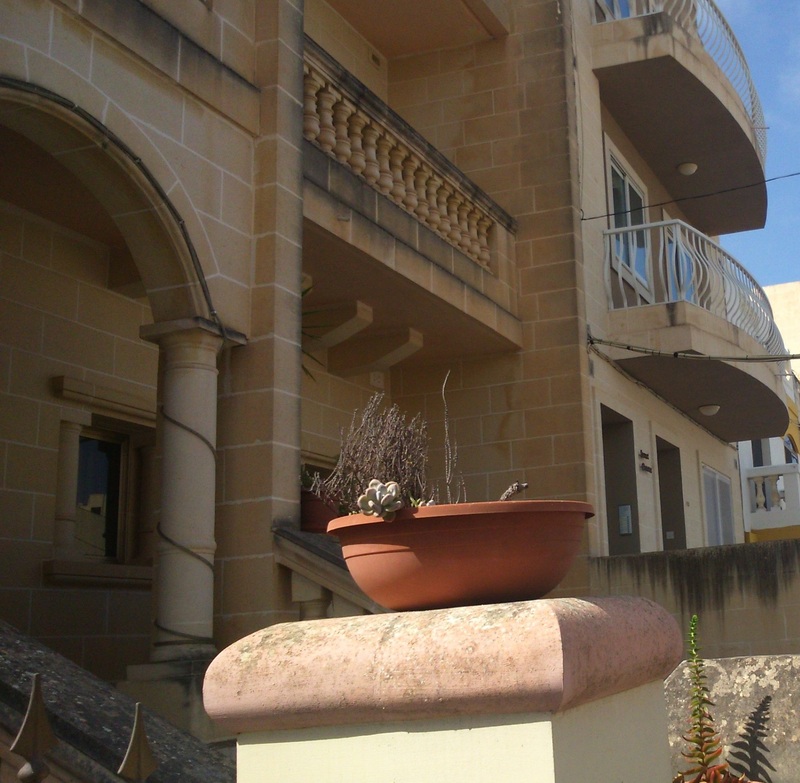 All the buildings in Malta are built from the local limestone, so they are all a creamy yellow colour. When you write, don’t pull things out of nowhere, use what’s around you, even if you have to put it there earlier in the story. Ancient Greek drama would sometimes get the hero into an impossible situation and then one of the gods would appear and rescue them. It’s called Deus ex machina, and it’s cheating. Fantasy fiction in particular (bad fantasy fiction) sometimes falls into the same trap. The hero has his back to a rock face and is facing unbeatable foes – and a magic portal opens so he can escape. But other genres can fall into the same trap too. You can’t have the police, the sidekick, the girlfriend, or even the bus turn up in the nick of time unless you have set it up beforehand or explain it straight afterwards. You have to show how they got there, knew where to go, had the skills or equipment to get the hero out of trouble. Even if it’s a mystery, there has to be an explanation before the end. In my science fiction novel Flight of the Kestrel: Intruders there is a big mystery. The Kestrel is sent on a mission to find a new alien species of energy beings and along comes a woman with amnesia who can read the aliens’ minds. But she is terrified of them, and Captain Darrow doesn’t know whether to trust her. The mystery is solved by the end, but on the way it causes plenty of controversy. You’ll have to read the book to find out more. This is one of the benefits of outlining. When you realise you need someone or something to be available to rescue the situation or make a scene work, you can go back and set it up earlier in the story. David Baboulene uses index cards for his outline so he can fill in what he needs as he goes and then work out where to slot the cards in later. He was the script consultant on the first Back to the Future film. There is a scene near the end where Marty McFly takes to the stage at the dance and invents rock and roll. The writers immediately realised they needed to show early on that he could play guitar and loved rock and roll. Don’t cheat your readers, put things in place before you need them, even if you hide them. It’s very satisfying for the reader to think, ‘I didn’t see that coming’, and then look back and see it was there all the time.